Grand Opening Ceremony for the Anita and Stan Maag Food & Nutrition Center on the San Marcos campus. 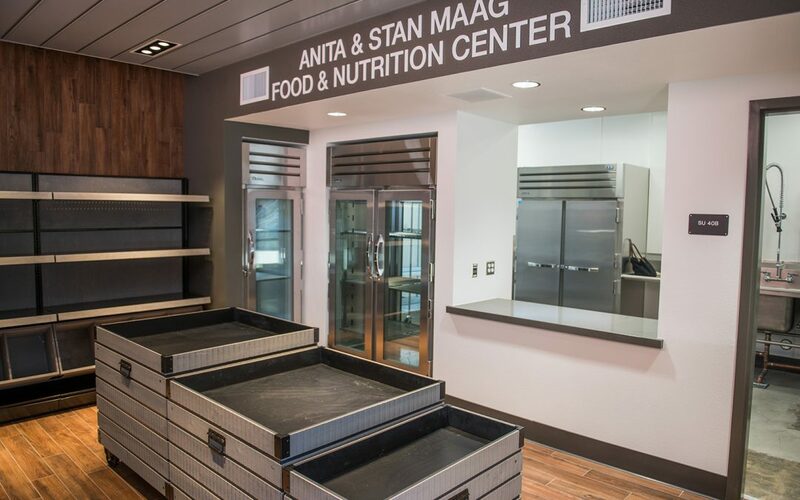 Palomar College officially celebrates the grand opening of the Anita and Stan Maag Food and Nutrition Center. The Center expands Palomar’s food pantry into a facility equipped with refrigeration, loading and staging dock, sink and preparation area, and more space. The new food pantry is located in the Student Union area of the San Marcos campus. In the last year, Palomar College has distributed 12,000 meals, reaching an estimated 3,000 households in the region. Food insecurity on college campuses continues to be a major factor cited by students when asked about barriers to success. With these improvements, Palomar is providing better access to nutritional support, allowing more students to be served. For more than 34 years, the college has maintained a food pantry to meet the food security needs of thousands of students. The college sources its pantry supplies from the North County Food Bank on Rancheros Drive in San Marcos. Parking for the Grand Opening Ceremony will be available without a permit in Lots 1 & 2 during the hours of the event.